Before the arrival of Bram Stoker’s Dracula on the literary scene in 1897, there was Lord Ruthven, “a nobleman, more remarkable for his singularities, than his rank.” Lord Ruthven’s origins and the story in which he appears germinated one infamous night in June 1816 at the same gathering that birthed the idea for Frankenstein. 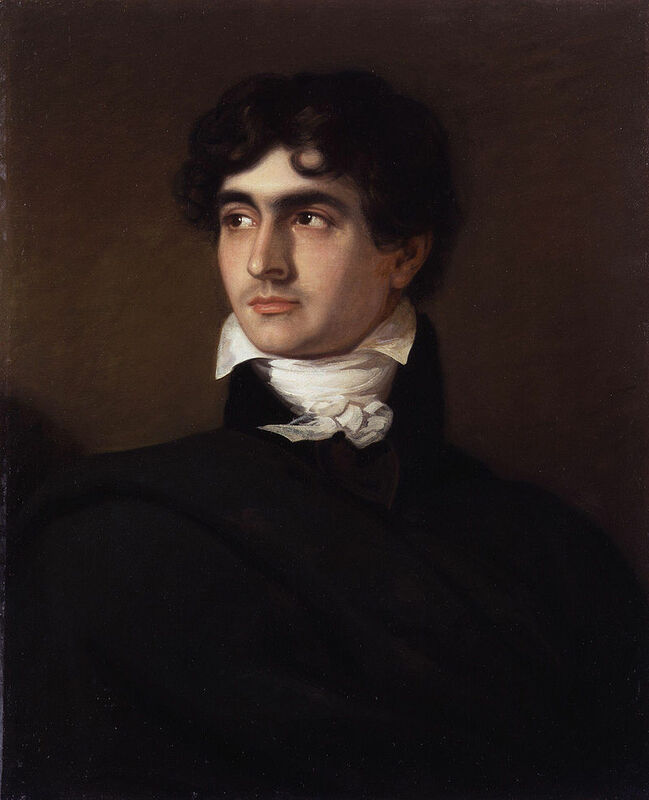 John Polidori (1795-1821) had accompanied Lord Byron on his European travels, ostensibly as his personal physician. In 1816, Lord Byron (1788-1824) rented the Villa Diodati near Lake Geneva in Switzerland, where Mary Godwin Shelley and Percy Bysshe Shelley also spent part of the summer. In the introduction to the 1831 edition of Frankenstein, Mary Shelly recalled, “It proved a wet, ungenial summer and incessant rain often confined us for days to the house.” The party of budding literati spent an evening reading Fantasmagoriana, a French collection of German horror tales, which led to a challenge by Byron that they all try their mettle at penning a gothic tale. Polidori would write “The Vampyre”, a short tale that marked the first instance of the modern vampire story, predating such Victorian gothic works as James Malcolm Rymer’s serialized Varney the Vampire (1845-1847), Sheridan Le Fanu’s Carmilla (1871), and of course Stoker’s Dracula (1897). Polidori’s story was published in April 1819 and was erroneously attributed to Lord Byron at first. More on that later. In “The Vampyre”, Lord Ruthven with his “dead grey [eyes], which fixing upon the object’s face, did not seem to penetrate, and at one glance to pierce though to the inward workings of the heart” caused a stir of excitement among the ton. He is considered an aristocrat and moves among their set. Upon learning that Ruthven is about to travel abroad, Aubrey endeavors to follow in an effort to learn more about his “idol” and quench his curiosity. When Ruthven learns of Aubrey’s intention to travel, he invites the young man to join him. While in Rome, Aubrey receives letters from his guardians urging him to leave Ruthven’s side as they have learned more about his character as “dreadfully vicious.” Thus awakened, Aubrey resolves to leave Ruthven, but before he does, he learns of Ruthven’s plot to sully an innocent girl which he is able to thwart. Aubrey continues on his European tour on his own. In Greece, he encountered a sylph-life beauty, Ianthe. Aubrey would seek out sites of antiquity to visit, but his attentions would return to “an image that seemed alone the rightful possessor of his thoughts.” Ianthe. She captures Aubrey’s imagination with her innocence and beauty, and, in their time together, she relates to him a tale of vampires. Aubrey can’t bring himself to believe such tales, but he does note the striking appearance of vampires that would be accurate in describing Ruthven. Foolishly, Aubrey sets off on an excursion that will take him through a particular woods feared by the local Greeks. Especially at night. And naturally, preoccupation causes him to lose track of time and get caught in the rain in that very forest. Tragedy befalls Aubrey, and he narrowly escapes the clutches of a female vampire but suffers a fever. When he recovers, Ruthven is there. The two will later journey into more remote parts of Greece, resulting in Ruthven getting shot by bandits. Ruthven elicits an oath from Aubrey to keep silent about his crimes and death for a year’s time. Ruthven’s body is later taken to the pinnacle of a nearby mountain and “exposed to the first cold ray of the moon that rose after his death.” Though when Aubrey later seeks out this spot, no body is found. Aubrey returns to England and is greeted by his sister. Miss Aubrey has a melancholy charm resulting “from some feeling within, that appeared to indicate a soul conscious of a brighter realm.” Aubrey determines to protect his sister. However, the oath he has made serves as a sort of geas that prevents Aubrey from speaking the truth of Ruthven’s nature until the precise hour when the term of the oath expires, but by then it may not be possible to avert another tragedy. It did take a little re-reading and time to cogitate this and a few other passages to be clear on their meaning. But I’m glad to have read it. It’s important to read the origins, sources, and “that which has come before” in the literature and genres that one studies or writes about. Like many Greek myths, these lasting influences are referenced time and again in the works that have followed them. For instance, Polidori’s Lord Ruthven isn’t the first occurrence of a literary character by that name. Lady Caroline Lamb (1785-1828) previously used the name Lord Ruthven in her novel, Glenarvon, in 1816. The character was a thinly-disguised stand in for Lord Byron. And intentionally or not, I suspect Polidori was doing the same. 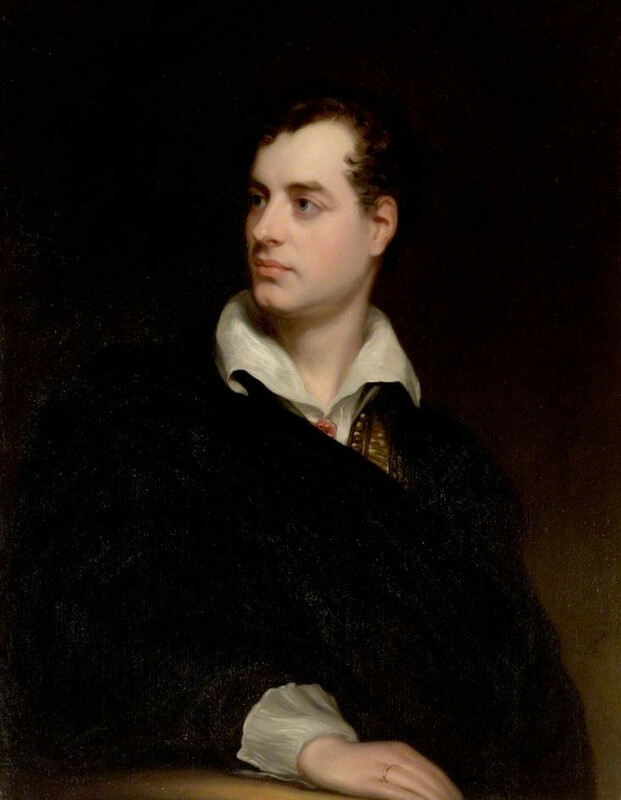 There are some interesting real-life comparisons to consider when reading the text of “The Vampyre.” Byron had left England because of a disintegrating marriage and unsavory rumors of disrepute and sexual perversions, including homosexuality. Polidori accompanied him as his personal physician and travelling companion. Consider Byron as Ruthven and Polidori as Aubrey, and the story takes on new layers of possible meanings. How much of Aubrey’s opinions and views of Ruthven may be based in Polidori’s experiences with Byron? We may never know. Polidori kept a journal of his travels with Byron, but one of his sisters is said to have censored “peccant passages” and destroyed the original before the journal’s posthumous publication in 1911. Regardless, Polidori’s story was a success. It soon influenced other works, including a stage adaptation Heinrich Marschner’s 1828 opera, Der Vampyr, and the aforementioned vampire novels. Alexandre Dumas even mentions the Lord Ruthven character in chapter 39 of his novel, The Count of Monte Cristo (1844). More recently, a feature film adaptation of the story has been announced with a scheduled release in October 2019. It will be interesting to see if it does the story justice.